There is a lot of talk about the death of the sales funnel, but I disagree. The sales funnel is very much alive; it has, however, evolved. We are now in the Digital Age. Consumers no longer travel straight down the traditional sales funnel; rather, they come in and out at different stages—sometimes even going silent for months before they come back to purchase. With such unpredictable buying behaviors, the traditional sales funnel no longer accurately depicts the buying process. The general stages of the traditional sales funnel haven't changed, but what has changed is the level of influence marketing has at each level. With the consumer's having so much control, Marketing now plays a much larger role in relation to Sales than ever before, making the need for collaboration between the two even more important. 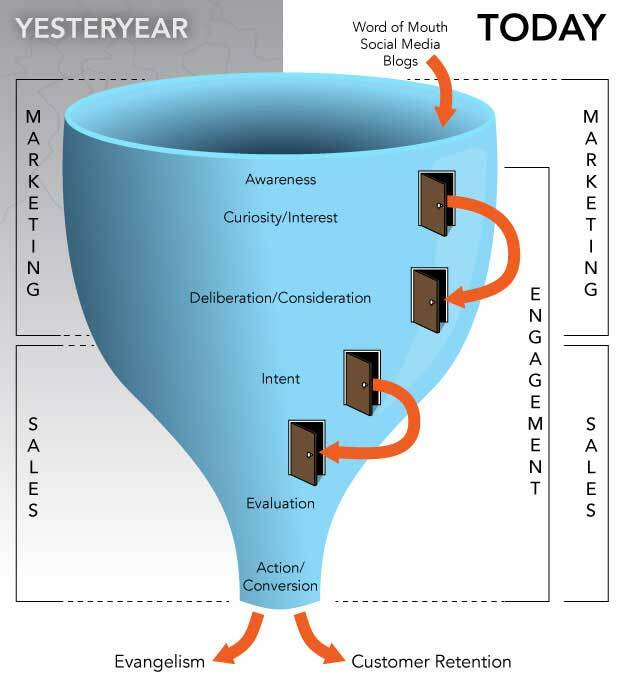 Traditionally, Marketing has been responsible for drawing leads into the funnel, at which point Sales would take over. That no longer works in today's digital environment. Now, marketers are responsible for guiding those leads through the sales funnel until the intent to purchase is clear. However, marketing doesn't stop there; in fact, marketing never stops. Even once a sale is made, however, both the sales and the marketing teams have the responsibility to ensure that the new client eventually becomes an evangelist and loyal tribe member. Marketing and sales teams can utilize the modern sales funnel to market more effectively at every stage. Alessandra Ceresa is director of marketing at GreenRope, provider of a CRM and marketing automation solution that combines sales, marketing, and operations into a single platform.